Exciting News! 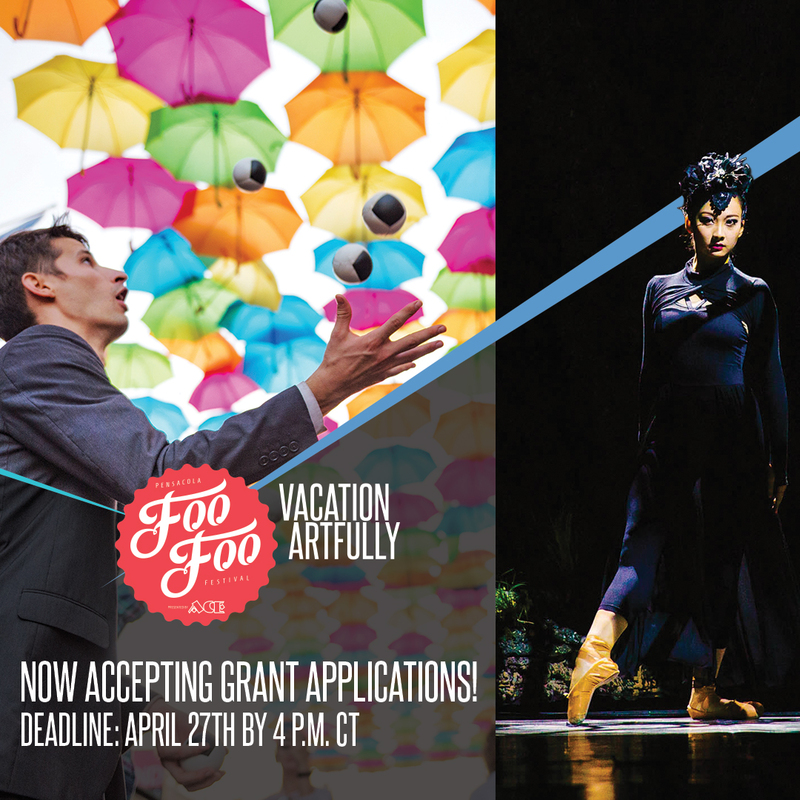 Art, Culture, and Entertainment, Inc., is now accepting grant applications to be considered for the 2018 Foo Foo Festival, Nov. 1 – 12 —our 5th Year! Deadline for submission is Friday, April 27 at 4 p.m. CT, and this year, it’s all online. Art, Culture, and Entertainment, Inc. (ACE), also recently announced their national tourism campaign aimed at luring arts and cultural travelers to Pensacola, Florida. Deemed “Vacation Artfully,” the campaign will be a year-round effort. Read more here.